I know many of you worry when you see no comments on your blog. Hopefully I can help you understand the reasons why. And also, when comments matter, and when they don’t. Many popular blogs written by well-known people attract lots of comments from engaged readers and this can set the bar very high for ordinary bloggers. It’s a shame, because I come across many fabulous blogs with few or no comments. As a reader and writer of blog posts for over 10 years I have noticed that it’s much harder now to get comments. As I also know from my own blog, many blog writers achieve great results with their blogs – new business, prestigious speaking and guest writing opportunities, even book deals. And these will mean a lot to the author! Some bloggers are so focused on getting views and comments, they will put a lot of effort into building proactive communities. They may see writing as a career and take their online visibility very seriously. For them, commenting will be an important step in improving the status and the stats of a site that is primarily built around a blog. A blog that could potentially generate an income through adverts, sponsored posts or product launches. On a good blog post, comments have the power to add even more value to the post. When I researched the latest SEO developments last year, I turned to specialist blogs written by famous SEO gurus. And at times I learned as much from the comments as from the actual article! Lifestyle blogs can be particularly fascinating. Think about someone who writes about their life with a challenging illness. Readers who empathise with the topic may not hesitate to reply, even share their own experiences. This emotional connection can both increase the magic and the value of a blog. Reading all the comments on ‘guru’ type blogs, may even give you new ideas. Especially when you see your target audience talk about what really bothers them! When do they not matter so much? Whilst blogs were always meant to be a 2-way conversation, as I mentioned earlier, there are many excellent blogs that do not attract comments. Indeed many of these get published by knowledgeable and passionate writers who are just not as well known. The majority of writers will never have the following of the online ‘gurus’ but how important is it anyway? A lot depends on your personal blogging objective and why you started writing in the first place! For a creative blogger this can be obvious. Many write for themselves first – perhaps for the purpose of artistic expression and to gain a sense of personal fulfilment. A business owner who blogs is likely to have a different aim because their blog is part of a business, rather than the business itself. For a service provider in particular, the blog can be just an extension of the business, a marketing tool – and possibly not even the main or only one. The writer’s aim may simply be to demonstrate and share their expertise. Of course, comments add a lot of value here too. But let’s face it, few business owners have the time to blog often enough, let alone focus on commenting. This is not necessarily a bad thing if, in your particular industry, blog posts are seen as a valuable resource. Busy freelancers or entrepreneurs often read articles because they look for answers and solutions. They don’t always see them as a place to engage. When blogs don’t attract comments on the actual post, it’s usually not because the post isn’t good enough. Your ideal reader cares and has seen your post but is way too busy to comment. They may engage elsewhere, e.g. on social media. Times are changing! I often get personal messages and emails from readers who feel the urge to write after having seen a post that resonates with them. Sometimes it’s not the content or lack of time but the technology that puts people off. To comment you may need to log in, eg. to WordPress. Cumbersome logins – or not having their details to hand – can easily stop an impatient reader from leaving a comment. Some people may not be natural writers (holding my hand up here). They agonise over what to say. I often struggle to say what I want to say quickly. And if I can’t say it in less than 5 minutes, I don’t even start. I know I’m not alone! Your reader is an introvert. Introverted people may prefer reading and thinking about topics rather than engaging with them by commenting. Connecting online can be just as hard for them as offline, in their real life. A post may really have to move them so they feel like writing a response. It might not happen very often! Of course, these are not the only reasons, e.g. not everyone’s posts are written in a way that invites comments. Plus, writers don’t always appreciate that to receive comments, they may also need to write comments for others. Either way, it is important to take a deep breath when you feel like panicking because there are no comments on your blog. Even when it feels as if you’re writing in a bubble. Just make sure you know your audience and whether (or how) they engage! My colleague Jean and I know that many of you, our readers, are busy business owners and lifestyle writers for whom writing isn’t the only priority. You may still be building your confidence as bloggers too. We just want you to get ideas and reassurance from our content. Yes, we may also want the search engines to send us traffic (comments can help with that too). But the difference is, we don’t get too worked up about it. We like to keep things simple too. Without hype, sponsored posts or advertising, as it wouldn’t be aligned with our values! So have a think: where are you most likely to build a community of engaged readers? Many ordinary bloggers will choose social media platforms, online groups, even offline networks. As long as you engage in conversation with your readers somewhere, I wouldn’t worry too much if it’s not on your blog (yet). You’ll achieve one important goal at least – to understand your readers better. This will help you to build a blog that has the potential to become an even more valuable resource. Having more interesting content for readers to delve into, could be a far more effective investment of your time right now. Never forget that your blog has the potential to be an impressive calling card – with or without comments! What’s your experience with comments and commenting? Do share. Ps. 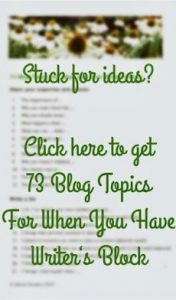 Would you like some new insights and ideas as well as new comments on your blog? Join our blogging challenge on 7 & 8 March and celebrate International Women’s Day too. More about how it works and how to sign up can be found here. What are you waiting for? Blogging? It’s as easy as making chutney! Are you ever stuck for ideas? Click the button to request our FREE download with 73 creative ideas. Ute Wieczorek-King (founder of Success Network) is an experienced business coach/ mentor/ trainer. She started blogging in 2007 and has had some of her posts published on Huffington Post. Ute ran the first government funded social media courses in the South East in 2009 and has since run many 'social' courses for councils, charities and SMEs, incl. blogging workshops and bootcamps for a Start-up Academy and her personal clients. She feels that blogging is the best way for business women (particularly those who are a little shy) to get known, liked and trusted. Ute Wieczorek-King (Success Network) is an experienced German Business Coach & Trainer who started blogging 12 years ago. Some of her posts are published on Huffington Post and Prowess 2.0. 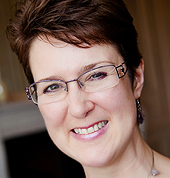 Having run her first hands-on social media courses for Business Link in 2009, she has helped businesses, councils and charities, also offering blogging courses to a Start-up Academy. Ute is passionate about helping women get noticed through blogging and social media. Jean Wolfe (Creative Spark Communications) is an established marketer, writer and radio broadcaster. Jean’s skills include helping women to speak up for their way of doing business, both on the radio and the Internet. She is fascinated by the fact that blogging is often more enjoyable than writing a website, and feels this is a more authentic way to market a business. She has been a teacher, publicist for book authors, and marketed and sold solar electric products internationally. Alice Elliott (Fairy Blog Mother) offers easy-to-understand technical email support to 'Attract Readers' clients and course participants. Specialising in WordPress, she teaches good foundational skills that solve problems for beginners and upwards. She is the winner of the National UK Blog Award for Digital Technology in 2014.